Let’s start to send something unique emoticons in your each new message. Use those emojis that can be adding much clear expression in your chat. 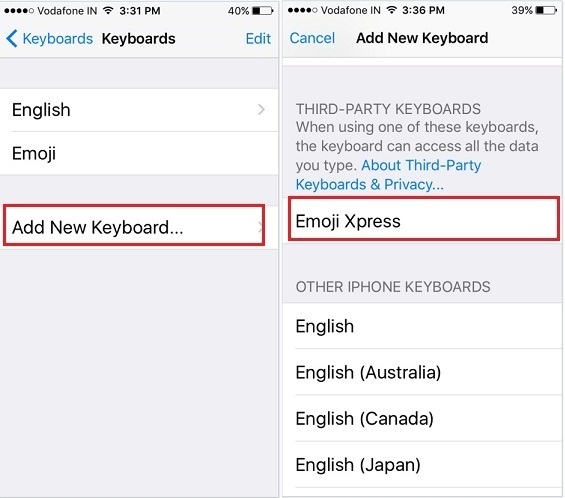 Generally, there are many third-party emoji apps for running iOS 9 iPhone, iPad and iPod touch. Furthermore, these apps also support with iOS 8.3 and later device. So today, here we glad to know you, how to get the new emoji on iPhone 6S/ 6S Plus, iPhone 7, iPhone 7 Plus. The iPhone 6S has a big screen than iPhone 5S, therefore, hope you feeling much space to touch and send emoticon and text in during chats with your colleague, friends, loved once and group chat. You can use the largest collection of emoji on the same keyboard layout. Just you need download-install the app and add in the keyboard settings and get start to use. if we talk about the unique emoji apps, then there are many folks who are looking for iPhone emoji apps like Animated emoji, emoticons for facebook, emoticons for Whatsapp, Easter emoticons, happy valentine’s day emoji text, Christmas emoticons, Mother’s Day to Father’s Day, and everything in between. Before get started the steps to get the new emoji on iPhone 6S, go to the iPhone Apps Store and download an app out of the given below. Step 6. Scroll down the screen and tap on Emoji Xpress. 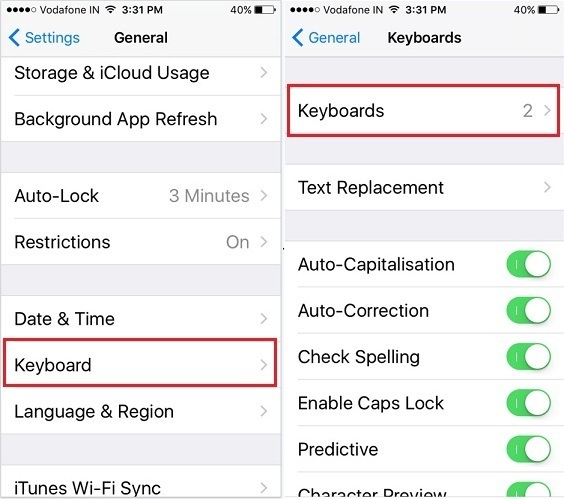 So as per above given steps, you can add any third-party keyboards on your iOS 8.3 and later iOS device. After adding it, you can access it, from tapping on Glob icon on iPhone keyboard. Please share your thoughts on to get the new emoji on iPhone 6S, iPhone 6S Plus as well on running all iOS 9 device. Don’t forget to leave a feedback in the comment box.